Definitely. Looks awesome in my foyer. 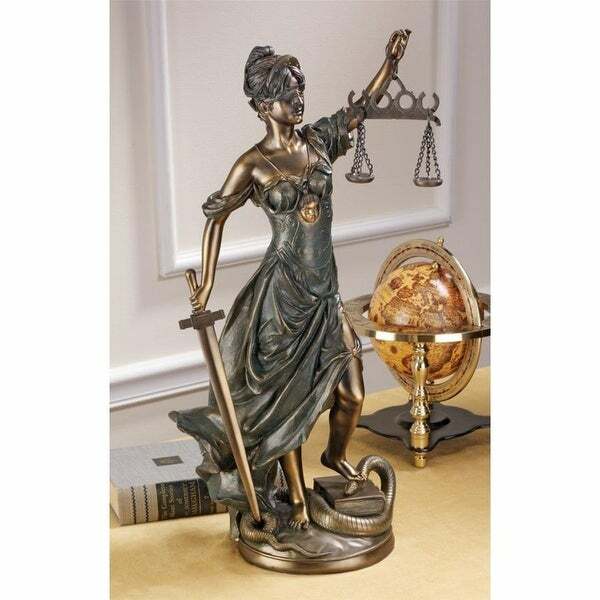 The Greek goddess of justice is artistically sculpted in this work perfect for home gallery or law office. Blindfolded for impartiality and balancing the scales of truth, Themis transcends the snakes of injustice at her feet. Our Toscano exclusives - both desktop and large scale - are cast in quality designer resin with rich faux bronze finishes. Large: 11"Wx11"Dx22"H. 7 lbs.